As a philosophical expert on theories of consciousness, I try to keep abreast of the most promising recent theories. I also sometimes receive unsolicited emails from scholars who have developed a theory that they believe deserves attention. It's fun to see the latest cleverness, and it's my job to do so, but I always know in advance that I won't be convinced. I'd like to hope that it's not just that I'm a dogmatic skeptic about general theories of consciousness. In "The Crazyist Metaphysics of Mind", I argue that our epistemic tools for evaluating general theories of consciousness are, for the foreseeable future, too flimsy for the task, since all evaluations of such theories must be grounded in some combination of dubious (typically question-begging) scientific theory, dubious commonsense judgment (shaped by our limited social and evolutionary history), and broad criteria of general theoretical virtue like simplicity or elegance (typically indecisive among theories that are live competitors). Today, let me try another angle. Ultimately, it's a version of my question-beggingness complaint, but more specific. Premise 1: There is no currently available decisive argument against panpsychism, the view that everything is conscious, even very simple things, like solitary hydrogen ions in deep space. 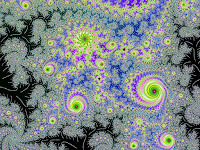 Panpsychism is, of course, bizarrely contrary to common sense, but (as I also argue in The Crazyist Metaphysics of Mind) all well-developed general theories of consciousness will have some features that are bizarrely contrary to common sense, so although violation of common sense is a cost that creates an explanatory burden, it is not an insurmountable theory-defeater. Among prominent researchers who defend panpsychism or at least treat seriously a view in the neighborhood of panpsychism are Giulio Tononi, David Chalmers, Galen Strawson, and Philip Goff. There are at least three reasons to take panpsychism seriously. (1.) If, as some have argued, consciousness is a fundamental feature of the world, or a property not reducible to other properties, it would be unsurprising if such a feature were approximately as widespread as other fundamental features such as mass and charge. (2.) Considering the complexity of our experience (e.g., our visual experience) and the plausibly similar complexity of the experience of other organisms with sophisticated sensory systems, one might find oneself on a slippery slope toward thinking that the least complex experience would be possessed by very simple entities indeed (see Chalmers 1996, p 293-7, for a nice exposition of this argument). (3.) Despite my qualms about Integrated Information Theory, there's an attractive theoretical elegance to the idea that consciousness arises from the integration of information, and thus that very simple systems that integrate just a tiny bit of information will correspondingly have just a tiny bit of consciousness. Premise 2: There is no currently available decisive argument against theories of consciousness that require sophisticated self-representation of the sort that is likely to be absent from entities that lack theories of mind. 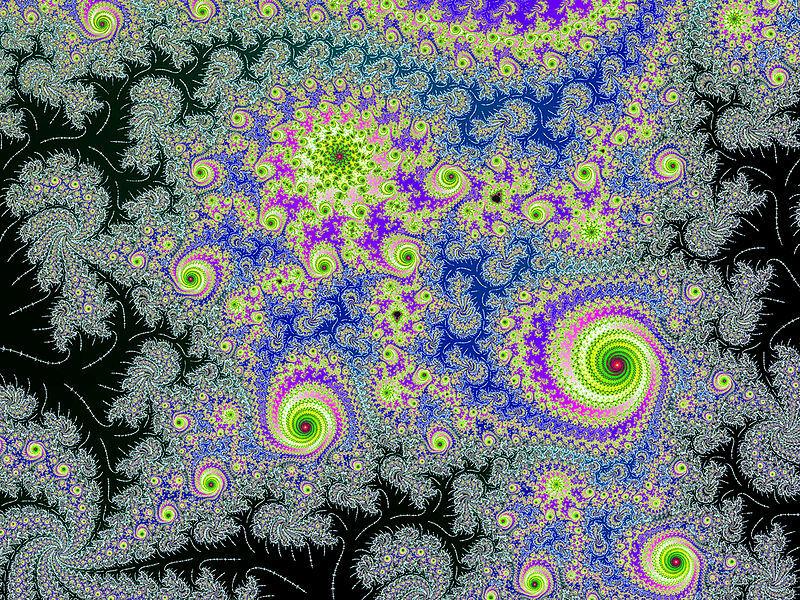 On extreme versions of this view, even dogs and infants might not have conscious experience. (Again, highly contrary to common sense, but!) Among prominent researchers who have taken such a view seriously are Daniel Dennett and Peter Carruthers (though recently Carruthers has suggested that there might be no fact of the matter about the phenomenal consciousness, or not, of non-human animals). There are at least three reasons to take seriously such a restrictive view of consciousness: (1.) If one wants to exit the slippery slope to panpsychism, one possibly attractive place to do so is at the gap between creatures who are capable of explicitly representing their own mental states and those that cannot do so. (2.) Consciousness, as was noted by Franz Brentano (and recently emphasized by David Rosenthal, Uriah Kriegel, and others), might plausibly always involve some sort of self-awareness of the fact that one is conscious -- apparently a moderately sophisticated self-representational capacity of some sort. (3.) There's a theoretical elegance to self-representational theories of consciousness. If consciousness doesn't just always arise when information is integrated in a system, an attractive explanation of what else is needed is some sort of sophisticated ability of a system to represent its own representational states. Premise 1a (weaker): There is no currently available decisive argument against theories of consciousness that treat consciousness as very widespread, including perhaps in organisms with fairly small and simple brains, or in some near-future AI systems. Premise 2a (weaker): There is no currently available decisive argument against theories of consciousness that treat consciousness as narrowly restricted to a class of fairly sophisticated entities, perhaps only mammals and birds and similar organisms capable of complex, flexible learning, and no AI systems in the foreseeable future. Therefore, all general theories of consciousness commit to the falsity of some view against which there is no currently available decisive argument. They thereby commit beyond the evidence. They must either assume, or accept on only indecisive evidence, either the falsity of panpsychism, or the falsity of sophisticated self-representational views of consciousness, or both. In other words, they inevitably beg the question against, or at best indecisively argue against, some views we cannot yet justifiably reject. Still, go ahead and build your theory of consciousness. You might even succeed in building the true theory of consciousness, if it isn't yet out there! Science and philosophy needs bold theoretical adventurers. But if a skeptic on the sidelines remains unconvinced, thinking that you have not convincingly dispatched some possible alternative approaches, the skeptic will probably be right. ETA: In order to constitute an argument against a candidate theory, as opposed to merely an objection to such theories, perhaps I need to put some weight on the positive arguments in favor of views of consciousness that conflict with the theory being defended. Thanks to David Chalmers and Francois Kammerer on Facebook for pushing me on this point. I guess I'm suspicious of the tacit requirement here that a theory of consciousness is reasonable to believe, all things considered, if and only if it can provide it can provide a decisive refutation against all other views. It's possible, as in the case of panpsychism and perhaps religious faith too, to construct a position such that it resists refutation in these sorts of strong terms, but still isn't reasonable when broader issues, epistemological and metaphysical, are taken into account. Panpsychists don't do this as far as I know, but recall the clever way Plantinga's reformed epistemology defense of religious belief stacked all the cards in his favor, and thereby resisted decisive refutations in this old school sense. But reformed epistemology wasn't thereby reasonable, in my view, and materialist or naturalist accounts of religious belief weren't thereby defeated, or even relegated to agnostic status. Panpsychism, when you get down deep into it, has this sort of game changing character, I think. It deserves reflection certainly, but I'm skeptical that its availability has this epistemic impact on the status of every general theory of consciousness. I'll have to think about it some more. Any explanation of consciousness in terms of physical processes or algorithms is ultimately doomed. Some people simply don't grasp the problem: you can't explain the subjective via objective means. Physical processes, no matter how complex, have objective properties and that's all. You can't throw a bunch of objective matter, forces, and fields together and declare that the invisible subjective magically emerges. There's no way to get there from here. Subjective properties are just not in the language of our basic physics and I don't see that changing any time soon. Regarding premise 2: I’ve always felt a bit confused about HOT theories of consciousness. Take my dad: he’s not a philosopher, and so he probably thinks very rarely about what is going on in his mind (as such). He wakes up, goes to the gym, rakes some leaves, eats some toast, etc., and is presumably phenomenally conscious the whole time. Does the HOT theorist claim that this is so b/c he was actually (or potentially) having (unconscious) thoughts about his experiences? If so, fine. But then what happens when he reflects on his experience (perhaps prompted by me)? That seems like introspection. I recall that Rosenthal thinks introspection is a more focused, deliberate kind of thought about experience, but I still feel like there should be a sharper distinction b/w the kind of consciousness that I have when, e.g., walking down the street and watching the leaves (or talking on the phone with my father) from the kind I have when reflecting on my mind. I feel like the HOT theorist is confusing consciousness of the world with introspection. For this reason (rightly or wrongly) I’ve always been attracted to first-order theories of consciousness. They must either assume, or accept on only indecisive evidence, either the falsity of panpsychism, or the falsity of sophisticated self-representational views of consciousness, or both. I can see two escape routes, though, albeit the one I prefer is a costly one. The reason why you are right is the "indecisive evidence" bit. That is: if you require evidence as in "empirical evidence", it will always be "indecisive", that's because some theoretical positions (Panpsychism and Epiphenomenalism, at least) are not assailable on empirical grounds (see here, for some of my rationale). Once you realise this, it becomes clear (to me, at least!) that requiring "decisive [empirical] evidence" is asking too much. Thus, the escape route requires to lower our expectations. Panpsychism, Epiphenomenalism and (some, not all) other theoretical positions need to be defeated by logical argument, before we can start looking for empirical evidence supporting what remains. This is a costly route, because logical arguments tend to be inconclusive and/or usually fail to convince whoever already espoused an incompatible position. On the positive side, I think that an alternative key step to escape the deadlock you point to is to realise (!) that our phenomenon of interest is not necessarily a single phenomenon, but is made out of two conceptually distinct parts. There is a difference between something having a "something it is like" (1) and that something knowning that there is something it is like to be "it"(2). If you espouse strong illusionism, you can have (2) without (1). If you don't, you can still hypothesise that (1) and (2) are separate, and thus you could find systems that posses (1) but not (2). This strategy is not, at least for me, manifestly absurd, but provides a number of viable options to escape the deadlock in question. for example, you could admit panspichism, and say that everything has (1), but only complicated systems that self-model can have also (2). I'm not proposing to do so (I'd rather shoot-down Panpsychism on logical grounds), but it does seem that admitting the (1)-(2) distinction allows to escape your otherwise solid conundrum. How could so-called intrinsic properties of matter contrive to be referred to by a brain whose behaviour, ex hypothesi materialism, is fully accountable exclusively on the basis of the extrinsic causal principles of physics? Why isn't this a blow against panpsychism? Why isn't the reference problem decisive against panpsychism? Chalmers calls it the paradox of phenomenal judgment, but he doesn't follow the critique through.If qualia depend on intrinsic properties outside the extrinsic causal nexus of physics, how could a causally closed physical brain refer to them? What about Stuart Hamrroff and Richard Penroses Orch OR theory?? I struggle with much of this. Are these not just philosophical arguments for philosophies of mind? Is there anything here useful to experimentalists? If it is to be called a scientific theory, it seems to me like it needs to be testable? We would love to hear your thoughts and we’re going to attempt a submit to Nature. We would like to know what you think our odds of being accepted would be. Thanks for all the comments, folks! I was traveling and the post went semi-viral, so I fell behind on approving and responding. Now I need to play some catch up on email etc and also celebrate the current US holiday with family. Further thoughts soon! I should add that my comment above doesn’t really address the argument that you presented. It rather makes an observation/asks a question about one of the views considered in your argument, namely, a higher-order theory. After reading your interesting post, I couldn’t help myself. I think you are mostly right, but not quite. Isn’t what you are trying to say, just about the qualitative nature of consciousness – and not all of physics? For example, an abstract word like “red” does not have any redness qualities we can experience. Sure, an abstract word like “red” can represent everything about redness – but unless you know how to qualitatively interpret it, you can’t know what it really means. So, is what you are trying to say, is that you could know everything, abstractly, about physical consciousness, but until you know how to qualitatively interpret this abstract knowledge, you will never be able to bridge the explanatory gap, or eff the ineffable, know what it is like to be a bat, and so on. So, if you can discover, which set of physical properties are the physical properties we experience as knowledge that has a redness quality (It could be something like the neurotransmitter glutamate reacting in a synapse), then you will know which set of physical properties to interpret redness as (and also know when someone is experiencing that redness). This will enable us to do things like eff the ineffable, make effing statements like: “My redness is more like your greenness” or not. And be able to bridge the explanatory gap, and thereby “get there from here” on both an objective and subjective way right? For more info, see my other post, and link to the paper we are in the processes of publishing. Eric, I’m a bit disturbed that you somehow “always know in advance” that you won’t find any theory of consciousness convincing. Your posts and replies regarding consciousness over the last couple of years indicate that you aren’t particularly influenced by evidence, which, I imagine, means you can never be convinced. And should you encounter the theory of consciousness that turns out to be spot-on, will you reject it for being inescapably grounded in The Dubious? Should we all just give up? Have you? Is this post something of a troll? Didn’t the burden of proof used to belong to the proponents of a hypothesis, the supporters of the affirmative case? Why the interest in “decisive arguments against” these theories of consciousness? Unless somebody changed the rules, neither the “absence of evidence against” or “decisive arguments against” any nonsensical proposition renders the nonsense at all credible. I’ll limit my comments to panpsychism, which needs no “argument against” at all because, in addition to its being a completely evidence-free claim, it’s simply not comprehensible. You say panpsychism is “the view that everything is conscious.” In the linked Chalmers paper, “Panpsychism and Panprotopsychism,” Chalmers says that “we can understand panpsychism as the thesis that some fundamental physical entities have mental states,” your hydrogen ion presumably being one of those entities. What definition of consciousness is in play here? Whatever it is, it’s clearly not the embodied, organic, physical consciousness each of us experiences that is produced by the operations of our animal brain. Unless I’m gravely mistaken or ill-informed, no one in the history of humanity has verifiably demonstrated or even convincingly inferred a single instance of consciousness existing apart from an animal brain as some sort of “fundamental feature of the world.” Regarding Chalmers’ understanding of panpsychism, didn’t a *mental* state used to be a state of a *mind*? Hydrogen ions have minds? Do charged collections of quarks find fulfillment in contemplating equations to the third degree? If the panpsychists claim that either “everything” or “some fundamental physical entities” are possessed of some unspecified *sensitivities*, the only reasonable course open to them is to invent another word and provide a definition that describes the nature, extent and mechanism of those sensitivities. I note that “hogwashiousness” is available and unsullied by any previous usage. As it stands, panpsychists are clearly equivocating the term consciousness into meaninglessness or attempting to slyly extend the definition of consciousness to include a non-physical, ghostly soul-like phenomenon in a god-of-the-gaps religious-like and incomprehensible attempt to grant the universe a soul. IIT? More of the same. Every nanoscopic event in the universe is an instance of the “processing of information” ... Dude! The entire universe is conscious! When the best we have are partial exploratory truths, Anekantavada is a useful principle. I understand the value of having scholars invest themselves in exploring/accepting a single approach, but it baffles me why others so enthusiastically embrace such biases. Matt: I'm okay with the standard being "reasonable when broader issues, epistemological and metaphysical" are taken into account. I would argue that the range of live possibilities is still extremely wide under such a standard. Jeff W, Anthony McKee, zvolkov, leather, Allsop -- Sure, I'm happy to grant that these are live positions. Mike R: The thought is that in ordinary experience there is a non-conscious HOT. In introspective experience there is something like a second-order HOT (also non-conscious) that makes the conscious thought about one's experience conscious. Brent: I'll take a look at your link; on effing the ineffable: Maybe! But I also sympathize somewhat with those who think the gap is not in principle closable. In the medium-term it seems quite unlikely to me to be closed regard the general question of what sorts of beings are conscious (at best we could medium-term close it for the human case, but even that is highly optimistic I think). One way of being "sensitive" might just be to be responsive to information, where information is always present where causation is present. At least that's how Chalmers does it in his 1996 book. I try to be open to evidence in the following sense: It does seem to shift my credences around a bit when I see a strong argument or suggestive empirical evidence. It's just that the credences never get very high; and in this post I'm trying to articulate a bit about why (though if you want more, check my 2014 paper). Mauss22 and others: I find the Indian tradition both enticingly interesting but also very difficult to approach. Jay Garfield's book is an interesting start and I have a forthcoming commentary on it (not currently circulating, but soon!). I'm not sure from your reply that I really got my point across. The view that the physical is an outside view of consciousness is precisely the problem, because physics tells us that this outside view is to be understood as fully accounting for all physical behaviour, thereby encompassing all neurophysical and neuromuscular activity that carries linguistic or other references to consciousness. Hence we have the paradoxical situation that these references would seem to occur even in the absence of any intrinsic conscious principle, thereby rendering any supposed correlation entirely adventitious. Such references could have no possible relation with any factor not already implicated in the closed and complete causal scheme of physics. For these reasons it doesn't seem to me possible to escape the paradox by positing an inside /outside dichotomy without explaining how each could be lawfully correlated with the other. In a sense it's the old problem of interactive dualism in another guise. This isn't the right post to respond to, but you've been active here recently. I got interested in: http://schwitzsplinters.blogspot.com/2007/05/with-your-eyes-closed-can-you-see-your.html because I was watching a TV show and a main character throws a towel over the head of someone with a gun (to distract him? make him miss?) to close the gap between them. It got me thinking, why didn't he shoot? I feel like I know where my hands are when I can't see them so I decided to look it up. I haven't read your book, yet, but I'm interested in what you think about someone who might be on the spectrum. I feel like as a person who is slightly there myself (I have ADD) it would be interesting to pose your questions to people like me. I'm constantly aware of everything touching me. The extra sensory information is hard to handle and sometimes it contributes to extreme anger if I get very hot or hungry, or just uncomfortable. The paper predicts that once experimentalists stop being “Qualia Blind” as we describe in the paper, they will post haste objectively demonstrate that two people do (or do not) have something like inverted qualia. By definition, this will bridge the gap, and will falsify the validity of your sympathy. Unlike everyone else, apparently, I’m uncertain of the precise meaning of Nagel’s “There is something it is like to be a bat” statement, which is generally taken as a profound insight, at least judging from the gazillions of times it’s been referenced. The difficulty I continue to have with Nagel’s statement is that it seems to me to be a subtle suggestion of an *existence* of a “something” ... There is (exists) a something that resembles a something else ... is Nagel proposing a “thing-like” existence for consciousness? “Something that it *is* ...” For myself, replacing a single word in Nagel’s statement produces complete clarity: There is something that it *feels* like to be a bat. But the proposition that a bat feels like a bat to itself is wholly unremarkable and is trivially the very definition of sentience, so that the modified but understandable “feels like” phrasing simply says that bats are sentient. And with that one word substitution of “feels”, what has happened to the supposed profundity of Nagel’s statement? I’m hoping with this comment that someone can shed some much needed light on Nagel’s “something it is like” apparent insight that seems to have become dogmatic in consciousness philosophy. What am I missing? Unlike everyone else, apparently, I’m uncertain of the precise meaning of Nagel’s “There is something it is like to be a bat” statement, which is generally taken as a profound insight, at least judging from the gazillions of times it’s been referenced. The difficulty I continue to have with Nagel’s statement is that it seems to me to be a subtle suggestion of an existence of a “something” … There is (exists) a something that resembles a something else … is Nagel proposing a “thing-like” existence for consciousness? “Something that it *is* ...” I would instead say that an organism has conscious mental states if and only if it is sentient. For myself at least, replacing a single word in Nagel’s statement produces complete clarity: There is something that it feels like to be a bat. But the proposition that a bat feels like a bat to itself is wholly unremarkable and is trivially the very definition of sentience, so that the understandable “feels like” phrasing simply says that bats are sentient. And with that one word substitution of “feels”, what has happened to the profundity of Nagel’s statement? I’m hoping with this comment that someone can shed some much needed light on Nagel’s “something it is like” apparent insight that seems to have become dogmatic in consciousness philosophy. What am I missing? Do you think that there is a single definition for consciousness and what could it be? Chalmers: I do not think there is a single definition for any word in English or probably not in Finnish for that matter. One of the issues is that people often use the word 'consciousness' for different phenomena. But there is one kind of consciousness that I am most interested in, and that is consciousness as subjective experience: roughly what it feels like to be thinking, reasoning, or being. In this sense, a system is conscious if there is something it is like to be that system. So there is something it is like to be me, and I presume there is something it is like to be you, but there is probably not anything it is like to be this bottle of Pepsi. Likewise, a mental state is conscious if there is something it is like to have that mental state. So when I drink this coffee, it tastes like something, there is something it is like to taste coffee, but maybe there is nothing it is like for my brain to be doing some underlying computations in the background for regulating my heartbeat, let's say. So one is conscious and the other one is not. So shall we all agree with Damasio that consciousness, at least core consciousness, is "The feeling of what happens"? A coherent theory of consciousness is elusive because the hard problem of consciousness is constrained by our current paradigm of subject/object metaphysics which is a massively suppressive architecture of thought. Dismantling subject/object metaphysics would be the best place to start. There are no such things as objects and subjects, just the things we do not understand, and because we do not understand them, we label them as objects and subjects. Our current distinction dividing the subject and the object is an arbitrary one. One could just as easily define objects as things which have characteristics that are determinate, just as easily as one could define subjects as objects which have characteristics which are indeterminate, putting both the object and the subject in the same box without distinction. It's all a matter of preference, but something as simple as preference could lead to a new model of reasoning. In this new paradigm of reasoning, consciousness would be a first person objective experience of some thing that is radically indeterminate, not a subjective experience at all. One could then develop a model of consciousness where consciousness is universal and is an objective experience of some "thing" that is common to all phenomenon, from the indeterminate properties of inner and outer space to the indeterminate characteristics of the experience of consciousness the we human beings experience. Grounding any theory of consciousness in our current paradigm, by calling it a subjective experience is a blueprint for an endless debate predicated on the grounding tenet of subjectivity.